American intercontinental ballistic missile. ICBM, built as back-up to Atlas, using two stages instead of one and a half, and conventional tank construction in lieu of balloon tanks. It was also to have been used for suborbital tests of the X-20A Dynasoar manned space plane. For unknown reasons never refurbished for use as space launcher and scrapped after being replaced by the Titan II in the missile role in mid-1960's. AKA: LGM-25A;Mk. 3;SM-68A;Titan 1. Status: Retired 1965. First Launch: 1959-02-06. Last Launch: 1965-03-05. Number: 68 . Thrust: 1,295.90 kN (291,330 lbf). Gross mass: 105,142 kg (231,798 lb). Height: 31.00 m (101.00 ft). Diameter: 3.05 m (10.00 ft). Span: 3.05 m (10.00 ft). Apogee: 1,000 km (600 mi). In October 1955 the USAF awarded Martin a contract for the Titan ICBM. This was as a backup program, only to enter full scale development if the Atlas ICBM could not be successfully developed. Titan would use backup guidance systems and engines similarly being developed for Atlas by contractors separate from the Atlas contractors. Titan used a different technical approach in case some innovations on the Atlas didn't work out. The Atlas used balloon tanks that had to be constantly pressurized, so Martin used a conventional airframe for the Titan. Atlas used a �semistage', which involved shutting down and jettisoning the booster engines in flight. Martin took the alternate approach of a two-stage vehicle. Since Titan was a backup, development of the missile and its systems had a low priority compared to Atlas. This changed after the Soviet ICBM and Sputnik launches in 1957, at which point Titan received full funding with the objective of being deployed in parallel with Atlas in 1962. First launch was in February 1959, and the first of 54 Titans was indeed operational in April 1962. These were replaced in January-April 1965 with Titan 2's, an upgrade using storable propellants, vastly simplified propulsion, 50% greater launch weight, inertial guidance, and double the payload. These remained in service as America's heavy ICBM until the 1980's, whereas the solid-propellant Minuteman replaced the Atlas by 1965. Titan used a radio-command-inertial guidance system after its all-inertial system was transferred to the Atlas. Similarly the production facility built for the missile was taken over by the Air Force and handed over to Convair for Atlas production. Titan used the same Mk.4 re-entry vehicle and W-38 nuclear warhead as the Atlas E-F. Each missile was housed in its own vast hardened underground launch complex. It took 20 minutes to load the cryogenic liquid oxygen oxidizer into the missile before it could be raised on an elevator to the surface for launch. Development Cost $: 1,643.300 million. Recurring Price $: 15.618 million in 1962 dollars. Flyaway Unit Cost 1985$: 1.502 million in 1960 dollars. Maximum range: 11,300 km (7,000 mi). Number Standard Warheads: 1. Standard RV: Mk. 3. Standard warhead: W49. Warhead yield: 1,440 KT. CEP: 2.02 km (1.25 mi). Boost Propulsion: Liquid rocket, Lox/Kerosene. Maximum speed: 29,030 kph (18,030 mph). Initial Operational Capability: 1962. Total Number Built: 155. Total Development Built: 47. Total Production Built: 108. Stage 1. 1 x Titan 1-1. Gross Mass: 76,203 kg (167,998 lb). Empty Mass: 4,000 kg (8,800 lb). Thrust (vac): 1,467.908 kN (329,999 lbf). Isp: 290 sec. Burn time: 138 sec. Isp(sl): 256 sec. Diameter: 3.05 m (10.00 ft). Span: 3.05 m (10.00 ft). Length: 16.00 m (52.00 ft). Propellants: Lox/Kerosene. No Engines: 2. Engine: LR-87-3. Status: Out of Production. Stage 2. 1 x Titan 1-2. Gross Mass: 28,939 kg (63,799 lb). Empty Mass: 1,725 kg (3,802 lb). Thrust (vac): 355.863 kN (80,001 lbf). Isp: 308 sec. Burn time: 225 sec. Isp(sl): 210 sec. Diameter: 2.26 m (7.41 ft). Span: 2.26 m (7.41 ft). Length: 9.80 m (32.10 ft). Propellants: Lox/Kerosene. No Engines: 1. Engine: LR-91-3. Status: Out of Production. The Titan was the second Intercontinental Ballistic Missile (ICBM) of the USAF, the USAF's first multistage design, and the largest ICBM ever deployed by the United States. In 1954, when development of the definite configuration of the SM-65 Atlas ICBM started, the USAF also awarded development contracts for alternative designs of many Atlas components, like engines, guidance system, and reentry vehicle. This was to prevent failure of the whole ICBM program in case a single component design didn't work. During 1955 it was finally decided to develop a complete second ICBM system as a full backup to Atlas. In October 1955, Martin was awarded a contract for airframe design and system integration for this "backup" ICBM, to be known as SM-68 Titan. Martin chose not to use the fragile pressure stabilized airframe design of the Atlas, and therefore the whole structure was heavier, necessitating a two-stage design. Because Titan was a true backup, not intended for full-scale development and production unless Atlas would be significantly delayed, progress was slow until 1957. However, this changed in October that year after the Soviet Sputnik launch, and it was decided to deploy both Atlas and Titan by 1962. Testing of the SM-68 finally began in late 1958, and the first launch of an XSM-68 prototype (which had only a dummy second stage) succeeded in February 1959. Development problems (several XSM-68s exploded on the pad) delayed the first successful two-stage flight until January 1960. Titan testing continued through 1961, including launches from the silo-lift launcher of the operational missile. In April 1962, the first squadron of SM-68 Titan I missiles was declared operational. The SM-68 was a two-stage liqued-fueled rocket-powered missile. The first stage used two Aerojet LR87-AJ-1 engines, and the second stage consisted of a single Aerojet LR91-AJ-1, with all engines burning kerosene (RP-1) and liquid oxygen. The SM-68 used a radio-command-inertial guidance after the originally planned all-inertial system had been transferred to the SM-65-CGM-16 Atlas. The SM-68 used the same Mk.4 reentry vehicle and W-38 warhead as the SM-65E-F Atlas E-F. The missiles were stored in widely dispersed hardended underground silos. After fueling, the Titan I had to be lifted out of the silo for launch. As with the Atlas, the non-storable liquid fuels were a safety hazard and also lead to a reaction time from order to launch of about 20 minutes. There was also am unarmed training version of the Titan I, designated USM-68A Titan Trainer. When the much more advanced LGM-30 Minuteman and LGM-25C Titan II (see below) became operational in 1963, it was decided to phase out the Titan I (together with the Atlas) as quickly as possible. Between January and April 1965, all deployed Titan Is (54 missiles) were retired from service. Total production of the Titan I was about 160 missiles, of which more than 60 were launched for tests and training. Family: ICBM, silo-launched. Country: USA. Engines: LR87-3, LR91-3. Spacecraft: Avco Project 7969, Martin Project 7969, Dynasoar. Launch Sites: Cape Canaveral, Vandenberg, Cape Canaveral LC15, Cape Canaveral LC19, Cape Canaveral LC16, Cape Canaveral LC20, Ellsworth AFB, Vandenberg OSTF, Beale AFB, Lowry AFB, Larson AFB, Vandenberg SLTF, Mountain Home AFB, Vandenberg 395-A1, Vandenberg 395-A3, Vandenberg 395-A2. Stages: Titan 1-2, Titan 1-1. Agency: Martin. 1954 August 23 - . LV Family: Atlas, Titan. Launch Vehicle: Titan I.
Atlas alternate propulsion system contractor. - . Related Persons: Schriever. General Schriever forwarded two important recommendations to Headquarters ARDC. First, he recommended that an alternate propulsion system contractor be introduced into the Atlas program as a back-up. Second, he presented the results of the Atlas management study of 18 August and recommended Ramo-Wooldridge for the SE/TD role in the project. 1954 October 25 - . LV Family: Titan. Launch Vehicle: Titan I.
Titan program initiated. - . Related Persons: Schriever, Power. The early results of missile configuration studies conducted by Lockheed, the Glenn L. Martin Company, and the newly formed Guided Missile Research Division (GMRD) of Ramo-Wooldridge, supported by other Air Force studies, indicated the numerous advantages of a two-stage missile. Therefore, General Schriever recommended to LtGeneral Thomas S. Power, Commander, ARDC, that a second, or alternate, configuration and staging approach be introduced into the program to take full advantage of more advanced concepts and to stimulate competition. 1955 January 4 - . LV Family: Titan, Atlas. Launch Vehicle: Titan I.
Titan begins as alternate configuration and staging approach to the Atlas missile. - . The Air Force ICBM Scientific Advisory Committee recommended that an alternate configuration and staging approach to the present Atlas missile be introduced into the ballistic missile program..
1955 January 12 - . LV Family: Titan, Atlas. Launch Vehicle: Titan I.
Titan proposed as a competitor and backup to the Atlas program. - . Related Persons: Schriever. General Schriever formally proposed to Hq ARDC that an alternate, two-stage configuration intercontinental ballistic missile (ICBM) be developed as a competitor and backup to the Atlas program..
1955 January 14 - . LV Family: Atlas, Titan. Launch Vehicle: Titan I. Contract for Titan liquid oxygen-hydrocarbon ICBM engines. - . The Western Development Division (WDD) and the Special Aircraft Project Office (SAPO) awarded a contract to Aerojet-General Corporation for development of liquid oxygen-hydrocarbon ICBM engines. The contract covered design and fabrication of booster, sustainer, and vernier engines and was intended to provide an alternate propulsion system should the North American Aviation effort encounter delays. 1955 February 16 - . LV Family: Atlas, Titan, . Launch Vehicle: Titan I. Contract for ballisitc missile all-inertial guidance system. - . Massachusetts Institute of Technology (MIT) was awarded a contract for the research and development of an all-inertial guidance system. AC Spark Plug Company was to work with MIT and would fabricate and test the completed guidance system..
1955 March 3 - . LV Family: Titan. Launch Vehicle: Titan I.
Alternate configuration ICBM to be authorized - . Hq ARDC recommended to Hq USAF that an alternate configuration ICBM be authorized for development..
1955 April 28 - . LV Family: Titan. Launch Vehicle: Titan I.
Alternate ICBM approved. - . Secretary of the Air Force Harold E. Talbott approved development of an alternate ICBM..
1955 May 2 - . LV Family: Titan. Launch Vehicle: Titan I.
Titan ICBM contractor selection. - . Hq USAF authorized AEDC to proceed with the selection of an alternate source for the development of the ICBM. The alternate airframe configuration was to be a two-stage missile, later dubbed Titan..
Titan 1 begun. - . Nation: USA. USAF approved Western Development Division proposals to inaugurate a second ICBM airframe, which became the Titan ICBM (SM-68)..
1955 September 14 - . LV Family: Titan, . Launch Vehicle: Titan I.
Martin wins Titan ICBM contract. - . After evaluating the Douglas Aircraft Company, Lockheed, and the Glenn L. Martin Aircraft Company proposals for the alternate ICBM, the Air Materiel Command (AMC) declared the Martin Company winner..
1955 October 27 - . LV Family: Titan. Launch Vehicle: Titan I.
Martin given contract for the Titan ICBM. - . The Glenn L. Martin Aircraft Company of Baltimore, Maryland, was given a contract authorizing the design, development, and testing of the two-stage Titan ICBM (XSM-68) - Weapon System 107A-2..
1955 December 1 - . LV Family: Titan, Atlas, Thor, Jupiter, . Launch Vehicle: Titan I. Highest priority for both ICBMs and IRBMs. - . Related Persons: , Eisenhower. President Eisenhower officially assigned highest and equal priority to the development of the Atlas and Titan ICBMs and the Thor and Jupiter IRBMs. This decision led to the resignation of ICBM program advocate Gardner..
1956 February 15 - . LV Family: Titan. Launch Vehicle: Titan I.
Titan missile development moved from Baltimore to Denver. - . Related Persons: , Quarles. Secretary of the Air Force Donald Quarles approved the Glenn L. Martin Aircraft Company proposal to move its development effort for Titan (XSM-68) from Baltimore, Maryland, to the Denver, Colorado..
1956 Aug - . LV Family: Titan. Launch Vehicle: Titan I.
Full-duration firing of the sustainer engine for Titan - . The first full-duration, 300-second firing of the North American Aviation 60,000-pound thrust sustainer engine for Titan was successfully completed. During the month, Aerojet-General completed maximum duration test firings of the Titan booster engines (XLR-87-AJ-1) for 130 seconds and the sustainer engine (XLR-91-AJ-1) for 155 seconds. 1956 Oct - . LV Family: Titan. Launch Vehicle: Titan I.
Back-up sustainer engine for Titan's second stage cancelled. - . Western Development Division cancelled the North American Aviation development effort on a back-up sustainer engine for Titan's second stage..
1956 Oct - . LV Family: Titan, Thor. Launch Vehicle: Titan I, Thor. Radio inertial guidance system for Titan and Thor. - . WDD decided to eliminate the inertial platform from the Bell Telephone Laboratories (BTL) radio inertial guidance system for Titan and Thor..
1956 November 6 - . LV Family: Titan. Launch Vehicle: Titan I.
Titan operational missile site hardening. - . Brigadier General Osmond J. Ritland, WDD Vice Commander, ordered planning to be conducted on how to harden the Titan operational missile sites..
1957 January 18 - . LV Family: Titan. Launch Vehicle: Titan I. First firing of a complete, two-chamber Stage I engine for the Titan ICBM. - . Aerojet-General conducted the first firing of a complete, two-chamber Stage I prototype engine (XLR-87-AJ-1) for the Titan ICBM..
1957 January 22 - . LV Family: Titan. Launch Vehicle: Titan I. Contract for production of Titan missiles. - . A definitive contract was signed with the Glenn L. Martin Company for the continued development and production of Titan missiles..
1957 Mar - . LV Family: Titan. Launch Vehicle: Titan I. First full-duration firing of the Stage I engine for Titan - . The first full-duration firing of the prototype XLR-87-AJ-1 Stage I engine for Titan was completed..
1957 August 1 - . LV Family: Titan, Atlas, Thor, Jupiter. Launch Vehicle: Titan I. Ballistic missile programs reoriented. - . The National Security Council approved a Defense Department recommendation to reorient and cut back the ballistic missile programs. Atlas retained its priority, but the Titan program was reduced to second priority. The Thor and Jupiter IRBM programs were to be combined and evaluated by a joint Office of the Secretary of Defense-Air Force-Army Committee that would choose between them for future development. 1957 August 16 - . LV Family: Titan, Atlas. Launch Vehicle: Atlas E, Titan I. US ICBM production limited to four Atlas and two Titan missiles per month - . Secretary of Defense Charles E. Wilson directed that the ICBM program be limited to a maximum monthly production of four Atlas and two Titan missiles rather than the "4-4" program ordered on 9 August. With other areas also reduced, the Titan program became essentially a research and development effort. 1957 September 11 - . LV Family: Titan, Atlas, Thor. Launch Vehicle: Atlas E, Titan I, Thor. Air Force Ballistic Missile program cuts - . The Air Force Ballistic Missile Committee reviewed the revised AFBMD FY 1958 program that resulted from OSD decisions and directives of August that cut the program from $1,135 billion to $944 million. A 4-4-2 monthly production rate was approved for Atlas, Titan, and Thor missiles, and program slippages were accepted in response to Secretary Wilson's guidance of 9 August. The program was later submitted to OSD/BMC and approved on 5 October 1957. 1957 Oct - . LV Family: Titan. Launch Vehicle: Titan I. First production Stage I engine for Titan delivered - . The first production version of the XLR 87-AJ-l Stage I engine for Titan was delivered by Aerojet-General..
1957 Nov - . LV Family: Titan. Launch Vehicle: Titan I. First R&D Stage II engine for Titan. - . The Aerojet-General Corporation delivered the first R&D XLR 91-AJ-l Stage II engine for Titan..
1957 December 9 - . LV Family: Titan. Launch Vehicle: Titan I.
AVCO Corporation proposed development of a manned satellite system to the Air Force. - . Spacecraft: Man-In-Space-Soonest. 1957 December 19 - . LV Family: Titan. Launch Vehicle: Titan I. First Titan operational wing be located near Denver, Colorado. - . The Ballistic Missile Site Selection Panel recommended that the first Titan (SM-68) operational wing be located in the area of Denver, Colorado..
1958 February 3 - . LV Family: Titan, Atlas, Thor, Jupiter. Launch Vehicle: Titan I, Thor, Atlas E, Jupiter. Highest priority to ballistic missiles, spy satellites, and ballistic missile early detection. - . Related Persons: , Eisenhower. Spacecraft: WS-117. President Eisenhower directed the highest and equal national priority for Atlas, Titan, Thor, Jupiter, the WS 117L advanced military satellite system, and WS 224A BMEWS. This action returned the Titan program to its previous highest national priority status. 1958 March 15 - . LV Family: Titan. Launch Vehicle: Titan I. Contract for all-inertial guidance for the Titan ICBM. - . American Arma Bosch was awarded a contract to develop and produce an all-inertial guidance system for the Titan ICBM..
1958 May 21 - . Launch Site: Lowry AFB. LV Family: Titan. Launch Vehicle: Titan I.
Lowry AFB - . Headquarters USAF announced that Lowry Range near Denver, Colorado, would be the first operational site for the Titan missiles (SM-68) that were to be built in Martin's Denver plant..
1958 May 26 - . LV Family: Titan, Atlas. Launch Vehicle: Titan I. Inertial guidance system transferred from the Titan to Atlas. - . American Bosch Arma Corporation's contract for an all-inertial guidance system was transferred from the Titan (XSM-68) development program to Atlas (XSM-65) that was to become operational sooner. The Bell Telephone Laboratories (BTL) radio-guidance system would be used on all Titan research and development missiles and for the first four Titan operational squadrons. 1958 June 17 - . LV Family: Titan. Launch Vehicle: Titan I. Delivery of the first Titan missile - . The Air Force accepted delivery of the first Titan missile (A-l) from the Martin Company's Denver Division..
1958 July 28 - . Launch Site: Lowry AFB. LV Family: Titan. Launch Vehicle: Titan I.
Lowry AFB - . Deployment of Titan squadrons in a 3x3 hardened and dispersed configuration was approved for the Lowry, Ellsworth, and Mountain Home squadrons..
1958 October 20 - . LV Family: Titan. Launch Vehicle: Titan I.
Titan missile A-2 exploded - . Titan missile A-2, scheduled for the first flight test, exploded during captive tests at Denver..
1958 October 23 - . LV Family: Titan. Launch Vehicle: Titan I. First Titan flight test missile delivered - . Titan missile A-3, now scheduled for the first Titan flight test, was delivered to the Air Force by the Martin Company..
1959 February 6 - . 21:22 GMT - . Launch Site: Cape Canaveral. Launch Complex: Cape Canaveral LC15. LV Family: Titan. Launch Vehicle: Titan I. Nation: USA. Agency: USAF. Apogee: 1,000 km (600 mi). First test launch of USAF Titan ICBM (A-3) from Cape Canaveral. Dummy second stage (500 km range)..
1959 February 25 - . 19:45 GMT - . Launch Site: Cape Canaveral. Launch Complex: Cape Canaveral LC15. LV Family: Titan. Launch Vehicle: Titan I. Test mission - . Nation: USA. Agency: USAF. Apogee: 1,000 km (600 mi). 1959 Mar - . LV Family: Titan. Launch Vehicle: Titan I.
LR87-AJ-3 engine for Titan authorized - . As a result of numerous refinements evolved during prototype development of the LR87-AJ-1 engine for Titan, an advanced propulsion system - the AJ-3 - was authorized for development..
1959 Apr - . Launch Site: Lowry AFB. LV Family: Titan. Launch Vehicle: Titan I.
Lowry AFB - . Construction began on the operational facilities for the first Titan (SM-68) squadron at Lowry AFB, Colorado..
1959 April 3 - . 17:11 GMT - . Launch Site: Cape Canaveral. Launch Complex: Cape Canaveral LC15. LV Family: Titan. Launch Vehicle: Titan I. 1959 May 4 - . 18:30 GMT - . Launch Site: Cape Canaveral. Launch Complex: Cape Canaveral LC15. LV Family: Titan. Launch Vehicle: Titan I. Nation: USA. Agency: USAF. Apogee: 1,000 km (600 mi). Successful dummy second stage separation..
1959 May 15 - . LV Family: Titan. Launch Vehicle: Titan I. FAILURE: Exploded during static testing. Failed Stage: 1. Titan 1 B-4 - . Nation: USA. Exploded during static testing..
1959 May 22 - . LV Family: Titan. Launch Vehicle: Titan I. First prototype XLR87-AJ-3 engine for Titan completed. - . The first prototype of the XLR87-AJ-3 engine for Titan was completed..
1959 July 3 - . LV Family: Titan. Launch Vehicle: Titan I. FAILURE: Exploded during static testing. Failed Stage: 1. Titan 1 B-3 - . Nation: USA. Exploded during static testing..
1959 August 14 - . 16:00 GMT - . Launch Site: Cape Canaveral. Launch Complex: Cape Canaveral LC19. LV Family: Titan. Launch Vehicle: Titan I. FAILURE: Failure. Test mission - . Nation: USA. Agency: USAF. Apogee: 0 km (0 mi). Titan missile B-5, scheduled to be the first fully powered-flight test missile, was heavily damaged when a faulty release mechanism allowed an earlier-than-planned liftoff that resulted in engine shutdown and the missile's dropping back on the launch pad. 1959 Nov - . LV Family: Titan. Launch Vehicle: Titan I. First production -3 engines for the Titan program. - . Aerojet-General delivered the first production XLR87-AJ-3 Stage I and XLR91-AJ-3 Stage II engine for the Titan program..
1959 November 9 - . LV Family: Titan. Launch Vehicle: Titan I, Titan II. Development contracts for the Dyna-Soar space glider. - . Spacecraft: Dynasoar. The development contracts for the Dyna-Soar space glider were finally awarded by the Air Force - Boeing was to build the glider stage and Martin would provide the first stage booster..
1959 November 9 - . LV Family: Titan. Launch Vehicle: Titan I. Contractor selection for Dynasoar and Titan I announced. - . Nation: USA. Class: Manned. Type: Manned spaceplane. Spacecraft: Dynasoar. 1959 November 18 - . LV Family: Titan. Launch Vehicle: Titan I, Titan II. 14-squadron Titan force and Titan II development approved. - . The Air Force Ballistic Missile Committee approved planning for a 14-squadron Titan force and the development of the Titan II weapon system (XSM-68B, WS 107C)..
1959 December 12 - . 17:11 GMT - . Launch Site: Cape Canaveral. Launch Complex: Cape Canaveral LC16. LV Family: Titan. Launch Vehicle: Titan I. FAILURE: Exploded just above pad. Failed Stage: 1. RVX-3 Re-entry Vehicle test - . Nation: USA. Agency: USAF. Apogee: 0 km (0 mi). The first flight testing of Titan staging and second stage engine ignition was unsuccessful when Titan C-3 exploded at liftoff due to a faulty relay in the command destruct system. First Titan ICBM launching testing second stage was unsuccessful at AMR..
1960 February 2 - . 18:08 GMT - . Launch Site: Cape Canaveral. Launch Complex: Cape Canaveral LC19. LV Family: Titan. Launch Vehicle: Titan I.
Titan test missile B7A completed a 2,200-mile flight, achieving successful staging and ignition of the second stage engine at high altitude. The Stage II engine, XLR-91-AJ-1, performed as planned, and the missile impacted almost exactly on target. This was the first successful Titan launch and flight since 4 May 1959. 1960 February 5 - . 21:46 GMT - . Launch Site: Cape Canaveral. Launch Complex: Cape Canaveral LC16. LV Family: Titan. Launch Vehicle: Titan I. FAILURE: Failure. RVX-3 Re-entry Vehicle test - . Nation: USA. Agency: USAF. Apogee: 0 km (0 mi). 1960 February 24 - . Launch Site: Cape Canaveral. Launch Complex: Cape Canaveral LC15. LV Family: Titan. Launch Vehicle: Titan I.
RVX-4 test - . Nation: USA. Agency: USAF. Apogee: 1,000 km (600 mi). Titan flight test missile G-4 was launched from Cape Canaveral and completed all test objectives in the first successful long-range flight, with the reentry vehicle impacting 4,335-NM downrange. This flight was the longest to date by a Titan and demonstrated the integrity of all basic design parameters as well as Bell Telephone Laboratories radio-inertial guidance systems. 1960 March 8 - . 18:00 GMT - . Launch Site: Cape Canaveral. Launch Complex: Cape Canaveral LC16. LV Family: Titan. Launch Vehicle: Titan I. FAILURE: Failure. 1960 March 22 - . Launch Site: Cape Canaveral. Launch Complex: Cape Canaveral LC15. LV Family: Titan. Launch Vehicle: Titan I.
RVX-4 test - . Nation: USA. Agency: USAF. Apogee: 1,000 km (600 mi). USAF Titan fired 5,000 statute miles / 8000 km and data capsule recovered..
1960 April 8 - . Launch Site: Cape Canaveral. Launch Complex: Cape Canaveral LC16. LV Family: Titan. Launch Vehicle: Titan I.
RVX-3 Re-entry Vehicle test - . Nation: USA. Agency: USAF. Apogee: 1,000 km (600 mi). 1960 April 21 - . 20:55 GMT - . Launch Site: Cape Canaveral. Launch Complex: Cape Canaveral LC15. LV Family: Titan. Launch Vehicle: Titan I. 1960 April 28 - . 20:18 GMT - . Launch Site: Cape Canaveral. Launch Complex: Cape Canaveral LC16. LV Family: Titan. Launch Vehicle: Titan I. 1960 May 13 - . 21:25 GMT - . Launch Site: Cape Canaveral. Launch Complex: Cape Canaveral LC15. LV Family: Titan. Launch Vehicle: Titan I. 1960 May 27 - . 17:20 GMT - . Launch Site: Cape Canaveral. Launch Complex: Cape Canaveral LC16. LV Family: Titan. Launch Vehicle: Titan I. 1960 June 8 - . LV Family: Titan. Launch Vehicle: Titan I.
Martin to develop the Dyna-Soar booster airframe. - . Nation: USA. Spacecraft: Dynasoar. The Air Force gave the Martin Company responsibility for the development of the Dyna-Soar booster airframe..
1960 June 24 - . Launch Site: Cape Canaveral. Launch Complex: Cape Canaveral LC15. LV Family: Titan. Launch Vehicle: Titan I. 1960 June 27 - . LV Family: Titan. Launch Vehicle: Titan I.
Aero-Jet to develop booster engines for the Dyna-Soar system. - . Nation: USA. Spacecraft: Dynasoar. The Air Force authorized the Aero-Jet General Corporation to develop booster engines for the Dyna-Soar system..
1960 July 1 - . 17:29 GMT - . Launch Site: Cape Canaveral. Launch Complex: Cape Canaveral LC20. LV Family: Titan. Launch Vehicle: Titan I. FAILURE: Destroyed 90 m above pad. Failed Stage: 1. Mk 4 re-entry vehicle test - . Nation: USA. Agency: USAF. Apogee: 1.00 km (0.60 mi). The attempt to launch the first operational configuration Titan I ICBM (J-2) from Cape Canaveral was a failure. Titan 1 J (Mk 4 RV). 1960 July 28 - . 21:38 GMT - . Launch Site: Cape Canaveral. Launch Complex: Cape Canaveral LC20. LV Family: Titan. Launch Vehicle: Titan I. FAILURE: 130 km range. Failed Stage: 1. Mk 4 re-entry vehicle test - . Nation: USA. Agency: USAF. Apogee: 100 km (60 mi). Titan 1 J (Mk 4 RV). 1960 August 10 - . 22:46 GMT - . Launch Site: Cape Canaveral. Launch Complex: Cape Canaveral LC19. LV Family: Titan. Launch Vehicle: Titan I.
Mk 4 re-entry vehicle test - . Nation: USA. Agency: USAF. Apogee: 1,000 km (600 mi). 1960 August 30 - . Launch Site: Cape Canaveral. Launch Complex: Cape Canaveral LC20. LV Family: Titan. Launch Vehicle: Titan I. 1960 September 28 - . Launch Site: Cape Canaveral. Launch Complex: Cape Canaveral LC19. LV Family: Titan. Launch Vehicle: Titan I. 1960 September 29 - . 14:20 GMT - . Launch Site: Cape Canaveral. Launch Complex: Cape Canaveral LC15. LV Family: Titan. Launch Vehicle: Titan I. 1960 October 7 - . 15:50 GMT - . Launch Site: Cape Canaveral. Launch Complex: Cape Canaveral LC20. LV Family: Titan. Launch Vehicle: Titan I. 1960 October 24 - . 23:16 GMT - . Launch Site: Cape Canaveral. Launch Complex: Cape Canaveral LC19. LV Family: Titan. Launch Vehicle: Titan I.
Mk 4 re-entry vehicle test - . Nation: USA. Agency: USAF. Apogee: 1,000 km (600 mi). Titan ICBM fired 6,100 miles / 9800 km, 100 miles longer than any previous shot, with tactical-type nose cone..
1960 October 31 - . LV Family: Titan. Launch Vehicle: Titan I. First operational Titan I missile - . The Air Force accepted the first operational Titan I missile (HGM-25A) from the Martin Company..
1960 November 28 - . LV Family: Titan. Launch Vehicle: Titan I, Titan II. Titan II instead of Titan I for Dyna-Soar. - . Nation: USA. Spacecraft: Dynasoar. The Assistant Secretary of the Air Force requested ARDC to examine the feasiblity of employing Titan II instead of Titan I for Dyna-Soar suborbital flights..
1960 December 2 - . Launch Site: Ellsworth AFB. Launch Complex: Ellsworth AFB. LV Family: Titan. Launch Vehicle: Titan I.
Ellsworth AFB - . Nation: USA. Titan I ICBM 850th SMS activated at Ellsworth AFB. 1960 December 4 - . 05:35 GMT - . Launch Site: Vandenberg. Launch Complex: Vandenberg OSTF. LV Family: Titan. Launch Vehicle: Titan I.
Mk 4 re-entry vehicle test - . Nation: USA. Agency: USAF. Apogee: 0 km (0 mi). 1960 December 20 - . Launch Site: Cape Canaveral. Launch Complex: Cape Canaveral LC20. LV Family: Titan. Launch Vehicle: Titan I. FAILURE: Failure. 1961 January 12 - . LV Family: Titan. Launch Vehicle: Titan I, Titan II. Titan II to be the Dyna-Soar suborbital Step I booster. - . Nation: USA. Spacecraft: Dynasoar. Air Force headquarters announced that Titan II would be the suborbital Step I booster..
1961 January 20 - . 20:53 GMT - . Launch Site: Cape Canaveral. Launch Complex: Cape Canaveral LC19. LV Family: Titan. Launch Vehicle: Titan I. FAILURE: Failure. 1961 February 1 - . Launch Site: Lowry AFB. Launch Complex: Lowry AFB. LV Family: Titan. Launch Vehicle: Titan I.
Lowry AFB - . Nation: USA. Titan I ICBM 848th SMS activated at Lowry AFB. 1961 February 1 - . Launch Site: Beale AFB. Launch Complex: Beale AFB. LV Family: Titan. Launch Vehicle: Titan I.
Beale AFB - . Nation: USA. Titan I ICBM 851st SMS activated at Beale AFB. 1961 February 10 - . 05:55 GMT - . Launch Site: Cape Canaveral. Launch Complex: Cape Canaveral LC20. LV Family: Titan. Launch Vehicle: Titan I. 1961 February 20 - . Launch Site: Cape Canaveral. Launch Complex: Cape Canaveral LC19. LV Family: Titan. Launch Vehicle: Titan I. 1961 March 3 - . Launch Site: Cape Canaveral. Launch Complex: Cape Canaveral LC20. LV Family: Titan. Launch Vehicle: Titan I. FAILURE: Failure. 1961 March 7 - . Launch Site: , Vandenberg. LV Family: Titan. Launch Vehicle: Titan I. First Titan in-silo captive test firing - . The first Titan in-silo captive test firing took place at the Silo Launch Test Facility at Vandenberg'AFB, California..
1961 March 28 - . Launch Site: Cape Canaveral. Launch Complex: Cape Canaveral LC19. LV Family: Titan. Launch Vehicle: Titan I. 1961 March 31 - . 19:42 GMT - . Launch Site: Cape Canaveral. Launch Complex: Cape Canaveral LC20. LV Family: Titan. Launch Vehicle: Titan I. FAILURE: Failure. aaa - . Launch Site: Larson AFB. Launch Complex: Larson AFB. LV Family: Titan. Launch Vehicle: Titan I.
Larson AFB - . Nation: USA. Titan I ICBM 568th SMS activated at Larson AFB. 1961 May 3 - . Launch Site: Vandenberg. Launch Complex: Vandenberg SLTF. LV Family: Titan. Launch Vehicle: Titan I. Demonstration launch - . Nation: USA. Agency: USAF. Apogee: 60 km (37 mi). The 6565th Test Wing (Development) successfully conducted the first launch of a Titan (VS-1) from an underground silo at Vandenberg AFB. The nation's first silo launch of a Titan I at Vandenberg AFB..
1961 May 23 - . Launch Site: Cape Canaveral. Launch Complex: Cape Canaveral LC20. LV Family: Titan. Launch Vehicle: Titan I. 1961 June 1 - . Launch Site: Mountain Home AFB. Launch Complex: Mountain Home AFB. LV Family: Titan. Launch Vehicle: Titan I.
Titan I ICBM 569th SMS activated at Mountain Home AFB - . Nation: USA. 1961 June 24 - . 03:28 GMT - . Launch Site: Cape Canaveral. Launch Complex: Cape Canaveral LC19. LV Family: Titan. Launch Vehicle: Titan I. FAILURE: Failure. Mk 4 re-entry vehicle test - . Nation: USA. Agency: USAF. Apogee: 10 km (6 mi). Titan I (M-l) was the first Series M missile and first inertially-guided Titan missile to be launched from Cape Canaveral. Essentially a Titan I with a Titan II inertial guidance system, M-l was only a partial success due to a second stage hydraulic failure and loss of control after sustainer engine ignition. 1961 July 21 - . 02:00 GMT - . Launch Site: Cape Canaveral. Launch Complex: Cape Canaveral LC20. LV Family: Titan. Launch Vehicle: Titan I. 1961 July 25 - . 19:05 GMT - . Launch Site: Cape Canaveral. Launch Complex: Cape Canaveral LC19. LV Family: Titan. Launch Vehicle: Titan I.
Mk 4 re-entry vehicle test - . Nation: USA. Agency: USAF. Apogee: 1,000 km (600 mi). Titan missile M-2 completed the first full-range (4,342-NM) flight test of a Titan I equipped with an all-inertial guidance system. .
1961 August 1 - . Launch Site: Lowry AFB. Launch Complex: Lowry AFB. LV Family: Titan. Launch Vehicle: Titan I.
Lowry AFB - . Nation: USA. Titan I ICBM 849th SMS activated at Lowry AFB. 1961 August 4 - . Launch Site: Cape Canaveral. Launch Complex: Cape Canaveral LC20. LV Family: Titan. Launch Vehicle: Titan I. 1961 September 7 - . 01:30 GMT - . Launch Site: Cape Canaveral. Launch Complex: Cape Canaveral LC20. LV Family: Titan. Launch Vehicle: Titan I.
Mk 4 re-entry vehicle test - . Nation: USA. Agency: USAF. Apogee: 1,000 km (600 mi). USAF Titan successfully launched from Atlantic Missile Range, making 6,100-mile flight..
1961 September 8 - . Launch Site: Cape Canaveral. Launch Complex: Cape Canaveral LC19. LV Family: Titan. Launch Vehicle: Titan I. 1961 September 23 - . 20:36 GMT - . Launch Site: Vandenberg. Launch Complex: Vandenberg 395-A1. LV Family: Titan. Launch Vehicle: Titan I.
Mk 4 re-entry vehicle research and development mission - . Nation: USA. Agency: USAF. Apogee: 1,000 km (600 mi). Launched from Titan II silo. 1961 September 29 - . 01:52 GMT - . Launch Site: Cape Canaveral. Launch Complex: Cape Canaveral LC20. LV Family: Titan. Launch Vehicle: Titan I. 1961 October 7 - . 01:30 GMT - . Launch Site: Cape Canaveral. Launch Complex: Cape Canaveral LC19. LV Family: Titan. Launch Vehicle: Titan I.
Mk 4 re-entry vehicle test - . Nation: USA. Agency: USAF. Apogee: 1,000 km (600 mi). USAF Titan I launched from Cape Canaveral carrying Titan II guidance system..
1961 October 24 - . 23:28 GMT - . Launch Site: Cape Canaveral. Launch Complex: Cape Canaveral LC20. LV Family: Titan. Launch Vehicle: Titan I. 1961 November 22 - . 00:30 GMT - . Launch Site: Cape Canaveral. Launch Complex: Cape Canaveral LC20. LV Family: Titan. Launch Vehicle: Titan I.
Mk 4 re-entry vehicle test - . Nation: USA. Agency: USAF. Apogee: 1,000 km (600 mi). BSD's 6555th ATWg at Cape Canaveral completed the first successful launch of a Titan I (J-22) by an entire Air Force crew..
1961 November 29 - . Launch Site: Cape Canaveral. Launch Complex: Cape Canaveral LC19. LV Family: Titan. Launch Vehicle: Titan I. 1961 December 13 - . Launch Site: Cape Canaveral. Launch Complex: Cape Canaveral LC20. LV Family: Titan. Launch Vehicle: Titan I.
NTMP TV test - . Nation: USA. Agency: USAF. Apogee: 1,000 km (600 mi). 1961 December 15 - . Launch Site: Cape Canaveral. Launch Complex: Cape Canaveral LC19. LV Family: Titan. Launch Vehicle: Titan I. 1962 January 21 - . 00:57 GMT - . Launch Site: Vandenberg. Launch Complex: Vandenberg 395-A3. LV Family: Titan. Launch Vehicle: Titan I.
Demo - . Nation: USA. Agency: USAF SAC. Apogee: 1,000 km (600 mi). 1962 January 29 - . 23:30 GMT - . Launch Site: Cape Canaveral. Launch Complex: Cape Canaveral LC19. LV Family: Titan. Launch Vehicle: Titan I.
Mk 4 re-entry vehicle test - . Nation: USA. Agency: USAF. Apogee: 1,000 km (600 mi). The 47th, and final, Titan I research and development flight test missile (M-7) was successfully fired from Cape Canaveral. Of the launches, 34 were rated successes, nine partials, and only four as failures. .
1962 February 23 - . Launch Site: Vandenberg. Launch Complex: Vandenberg 395-A1. LV Family: Titan. Launch Vehicle: Titan I. FAILURE: Failure. Research and development Cat II / operational test - . Nation: USA. Agency: USAF AFSC. Apogee: 50 km (31 mi). 1962 Mar - . LV Family: Titan. Launch Vehicle: Titan I. Construction work for Titan I completed. - . Construction work for all six Titan I squadrons was completed..
1962 April 12 - . Launch Site: Lowry AFB. LV Family: Titan. Launch Vehicle: Titan I. The Ballistic Systems Division Site Activation Task Force (SATAF) at Lowry AFB, Colorado, turned over Complex A, the first three-missile Titan I (HGM-25A) launch complex, to the 724th SMW. These were the first of 54 Titan I launchers programmed for SAC's operational inventory. All Titan I squadrons featured silo-lift facilities, that is, storage in an underground silo and erection to an above ground launch position. 1962 April 18 - . Launch Site: Lowry AFB. Launch Complex: Lowry AFB. LV Family: Titan. Launch Vehicle: Titan I.
Lowry AFB - . Nation: USA. Titan I ICBM 848th SMS (nine missiles) declared operational at Lowry AFB. 1962 April 19 - . Launch Site: Lowry AFB. LV Family: Titan. Launch Vehicle: Titan I.
Lowry AFB - . The last Titan I (HGM-25A) complex was turned over to the 724th Strategic Missile Squadron of the 451st Strategic Missile Wing (SAC) at Lowry AFB, Colorado. This completed activation..
1962 May 4 - . 21:43 GMT - . Launch Site: Vandenberg. Launch Complex: Vandenberg 395-A1. LV Family: Titan. Launch Vehicle: Titan I. Research and development Category II test - . Nation: USA. Agency: USAF AFSC. Apogee: 1,000 km (600 mi). Titan I flight test missile was the 100th major space and ballistic vehicle to be launched from Vandenberg AFB since 16 December 1958. A total of 21 Thors, 32 Atlases, 5 Titans, and 42 space boosters had been launched from the base..
1962 May 10 - . Launch Site: Lowry AFB. Launch Complex: Lowry AFB. LV Family: Titan. Launch Vehicle: Titan I.
Lowry AFB - . Nation: USA. Titan I ICBM 849th SMS (nine missiles) declared operational at Lowry AFB. The second Titan I (HGM-25A) squadron at Lowry AFB, Colorado, the 725th Strategic Missile Squadron of SAC's 451st Strategic Missile Wing, became operational with the turnover of the last of three, three-missile launch complexes. All launch facilities were silo-lift. 1962 August 16 - . Launch Site: Mountain Home AFB. Launch Complex: Mountain Home AFB. LV Family: Titan. Launch Vehicle: Titan I. Mountain Home AFB - . Nation: USA. Titan I ICBM 569th SMS (nine missiles) declared operational at Mountain Home AFB. 1962 August 16 - . Launch Site: Mountain Home AFB. LV Family: Titan. Launch Vehicle: Titan I. Mountain Home AFB - . With the transfer of Complex A, the turnover of the 569th Strategic Missile Squadron to SAC was completed. All nine Titan I missiles were now operational at Mountain Home AFB, Idaho..
1962 September 8 - . Launch Site: Beale AFB. LV Family: Titan. Launch Vehicle: Titan I.
Beale AFB - . The nine Titan I missile launchers at Beale AFB, California, were turned over to SAC's 851st Strategic Missile Squadron..
1962 September 8 - . Launch Site: Beale AFB. Launch Complex: Beale AFB. LV Family: Titan. Launch Vehicle: Titan I.
Beale AFB - . Nation: USA. Titan I ICBM 851st SMS (nine missiles) declared operational at Beale AFB..
1962 September 26 - . Launch Site: Ellsworth AFB. LV Family: Titan. Launch Vehicle: Titan I.
Ellsworth AFB - . The last complex of the 850th Strategic Missile Squadron (Titan I) at Ellsworth AFB, South Dakota, was turned over to SAC..
1962 September 26 - . Launch Site: Larson AFB. Launch Complex: Larson AFB. LV Family: Titan. Launch Vehicle: Titan I.
Larson AFB - . Nation: USA. Titan I ICBM 568th SMS (nine missiles) declared operational at Larson AFB. 1962 September 28 - . Launch Site: Ellsworth AFB. Launch Complex: Ellsworth AFB. LV Family: Titan. Launch Vehicle: Titan I.
Ellsworth AFB - . Nation: USA. Titan I ICBM 850th SMS (nine missiles) declared operational at Ellsworth AFB. 1962 September 28 - . Launch Site: Larson AFB. LV Family: Titan. Launch Vehicle: Titan I. The last of the six operational Titan I squadrons, the 568th Strategic Missile Squadron at Larson AFB, Washington, was transferred to SAC. This brought the Titan I operational force to its programmed strength of six radio-guidance squadrons and 54 silo-lift launchers. 1962 October 6 - . Launch Site: Vandenberg. Launch Complex: Vandenberg 395-A1. LV Family: Titan. Launch Vehicle: Titan I. Research and development Category II test - . Nation: USA. Agency: USAF AFSC. Apogee: 1,000 km (600 mi). 1962 November 1 - . LV Family: Titan. 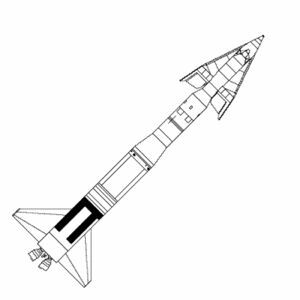 Launch Vehicle: Titan I.
Titan I SATAF discontinued - . Ballistic Systems Division's Site Activation Task Forces (SATAFs) for Titan I at Larson, Lowry, and Mountain Home AFBs were discontinued..
1962 December 5 - . Launch Site: Vandenberg. Launch Complex: Vandenberg 395-A1. LV Family: Titan. Launch Vehicle: Titan I. 1963 January 29 - . Launch Site: Vandenberg. Launch Complex: Vandenberg 395-A1. LV Family: Titan. Launch Vehicle: Titan I. 1963 March 30 - . 08:45 GMT - . Launch Site: Vandenberg. Launch Complex: Vandenberg 395-A2. LV Family: Titan. Launch Vehicle: Titan I.
NTMP K-17 Target mission - . Nation: USA. Agency: USAF SAC. Apogee: 1,000 km (600 mi). K-17 Nike-Zeus intercept of Titan I ICBM..
1963 April 5 - . Launch Site: Vandenberg. Launch Complex: Vandenberg 395-A1. LV Family: Titan. Launch Vehicle: Titan I. Research and development launch - . Nation: USA. Agency: USAF AFSC. Apogee: 1,000 km (600 mi). 1963 April 13 - . Launch Site: Vandenberg. Launch Complex: Vandenberg 395-A3. LV Family: Titan. Launch Vehicle: Titan I.
NTMP K-21 Target mission - . Nation: USA. Agency: USAF SAC. Apogee: 1,000 km (600 mi). K-21 Nike-Zeus intercept of Titan I ICBM..
1963 May 1 - . 10:15 GMT - . Launch Site: Vandenberg. Launch Complex: Vandenberg 395-A1. LV Family: Titan. Launch Vehicle: Titan I. FAILURE: Failure. Research and development launch - . Nation: USA. Agency: USAF AFSC. The Titan I research and development flight test program ended with the launch of missile V-4 from Vandenberg. V-4 self-destructed over the launch pad, recording one of the seven failures in the Titan I flight test program that began in . 1963 May 24 - . LV Family: Titan, Atlas, Minuteman. Launch Vehicle: Titan I.
Atlas D,E, and Titan I missiles to be phased out 1965 - 1968. - . Headquarters USAF recommended that Atlas D,E, and Titan I missiles be phased out of SAC's active operational inventory between 1965 and 1968. The older liquid-fueled ICBMs were expensive to operate, required a large manpower commitment, were slow-reacting and thus vulnerable when compared to the more advanced Minuteman and Titan II missile that were being deployed. 1963 July 16 - . Launch Site: Vandenberg. Launch Complex: Vandenberg 395-A2. LV Family: Titan. Launch Vehicle: Titan I. Demonstration and shakedown operations launch - . Nation: USA. Agency: USAF SAC. Apogee: 1,000 km (600 mi). 1963 July 31 - . LV Family: Titan. Launch Vehicle: Titan I.
Titan I engineering transferred to AFLC. - . The Titan I weapon system acquisition phase was completed and engineering responsibility for the Titan I (WS 107B) was transferred from Ballistic Systems Division (AFSC) to AFLC..
1963 August 1 - . LV Family: Titan. Launch Vehicle: Titan I. Executive management responsibility for the Titan I transferred to Norton AFB. - . Executive management responsibility for the Titan I weapon system (WS 107A-2) was transferred from BSD (AFSC) to San Bernardino Air Materiel Area (AFLC), Norton AFB, California..
1963 August 15 - . Launch Site: Vandenberg. Launch Complex: Vandenberg 395-A1. LV Family: Titan. Launch Vehicle: Titan I. Demonstration and shakedown operations launch - . Nation: USA. Agency: USAF SAC. Apogee: 1,000 km (600 mi). K-26 Nike-Zeus intercept of Titan I ICBM..
1963 August 30 - . Launch Site: Vandenberg. Launch Complex: Vandenberg 395-A3. LV Family: Titan. Launch Vehicle: Titan I. 1963 September 17 - . Launch Site: Vandenberg. Launch Complex: Vandenberg 395-A2. LV Family: Titan. Launch Vehicle: Titan I. 1963 November 14 - . Launch Site: Vandenberg. Launch Complex: Vandenberg 395-A1. LV Family: Titan. Launch Vehicle: Titan I. Demonstration and shakedown operations launch - . Nation: USA. Agency: USAF SAC. Apogee: 1,000 km (600 mi). K-24 Nike-Zeus intercept of Titan I ICBM..
1964 May 16 - . LV Family: Titan, Atlas. Launch Vehicle: Titan I, Atlas E, Atlas F.
Phase out plan for Atlas and Titan I ICBM's. - . The Defense Department tentatively established phase out of the Atlas E and Titan I missiles during the third and fourth quarters of FY1965 (January-June 1965) and that of the Atlas F in FY1968..
1964 August 1 - . LV Family: Titan. Launch Vehicle: Titan I.
Titan I completed the operational updating program. - . The six Titan I (HGM-25A) squadrons completed the operational updating program..
1964 November 19 - . LV Family: Titan, Atlas, Minuteman. Launch Vehicle: Titan I, Atlas E, Atlas F.
Atlas E,F, and Titan I ICBMs to be retired from the active operational inventory. - . Related Persons: , McNamara. Secretary of Defense Robert S. McNamara officially announced his decision to retire Atlas E,F, and Titan I ICBM weapon systems from the active operational inventory. They were said to be no longer supportable from requirements, cost, or manpower use standpoints. Moreover, the relative slow-reacting, liquid-fueled Atlas and Titan I missiles had provided the initial deterrent that was necessary and would now be replaced by the less vulnerable, more easily maintained Minuteman and Titan II ICBMs. 1964 December 8 - . Launch Site: Vandenberg. Launch Complex: Vandenberg 395-A1. LV Family: Titan. Launch Vehicle: Titan I.
ST West Wind I operational test launch - . Nation: USA. Agency: USAF SAC. Apogee: 1,000 km (600 mi). 1964 December 22 - . LV Family: Titan. Launch Vehicle: Titan I.
Titan I ICBM to be retired from the operational inventory by 30 June 1965. - . Headquarters USAF directed that the Titan I ICBMs be retired from the operational inventory by 30 June 1965. There were then six Titan I Strategic Missile Squadrons of nine missile launchers each. Headquarters USAF directed that the Titan I ICBMs be retired from the operational inventory by 30 June 1965. There were then six Titan I Strategic Missile Squadrons of nine missile launchers each. 1965 January 13 - . LV Family: Titan, Atlas, Minuteman. Launch Vehicle: Titan I, Atlas E, Atlas F.
By June 1965, 150 more ICBM sites would be inactivated. - . The Defense Department announced that by the end of FY1965 (June 1965), 150 more ICBM sites would be inactivated and the Atlas E, F, and Titan I missiles removed and placed in storage. The missiles werer stored at San Bernardino Air Materiel Area (SBAMA) facilities at Norton AFB, California. The retired missiles would be replaced by more advanced Minuteman missiles whose annual combat-ready costs were $100,000 per missile compared to nearly $1.0 million for each of the older, more complicated liquid-fueled ICBMs.. In addition, manpower savings would be substantial since only 12 men were required for support of each Minuteman versus approximately 80 for each Atlas or Titan. 1965 January 14 - . 12:00 GMT - . Launch Site: Vandenberg. Launch Complex: Vandenberg 395-A3. LV Family: Titan. Launch Vehicle: Titan I.
ST West Wind III operational test launch - . Nation: USA. Agency: USAF SAC. Apogee: 1,000 km (600 mi). 1965 January 22 - . Launch Site: Beale AFB. Launch Complex: Beale AFB. LV Family: Titan. Launch Vehicle: Titan I.
Beale AFB - . Nation: USA. Last Titan I ICBM taken off alert status at Beale AFB..
1965 February 1 - . Launch Site: Ellsworth AFB. Launch Complex: Ellsworth AFB. LV Family: Titan. Launch Vehicle: Titan I.
Ellsworth AFB - . Nation: USA. Last Titan I ICBM taken off alert status at Ellsworth AFB. 1965 February 2 - . Launch Site: Larson AFB. Launch Complex: Larson AFB. LV Family: Titan. Launch Vehicle: Titan I.
Larson AFB - . Nation: USA. Last Titan I ICBM taken off alert status at Larson AFB. 1965 March 5 - . Launch Site: Vandenberg. Launch Complex: Vandenberg 395-A2. LV Family: Titan. Launch Vehicle: Titan I.
ST West Wind II operational test launch - . Nation: USA. Agency: USAF SAC. Apogee: 1,000 km (600 mi). SAC launched the 20th, and the last, Titan I (HGM-25A) ICBM from Vandenberg as Nike target missile in support of Army requirements. Last launch of a Titan I from Vandenberg AFB (first launch on 3 May 1961)..
1965 March 25 - . LV Family: Titan, Atlas. Launch Vehicle: Titan I, Atlas E, Atlas F.
Atlas and Titan I ICBMs to be retired - . These were: two Atlas E units, the 566th Strategic Missile Squadron (SMS) at Warren and the 548th SMS at Forbes AFB, Kansas; three Atlas F squadrons, the 577th SMS at Altus, the 578th SMS at Dyess, and the 579th SMS at Walker; and three Titan I squadrons, the 851st SMS at Beale, the 850th SMS at Ellsworth, and the 568th SMS at Larson AFB, Washington. 1965 March 26 - . Launch Site: Lowry AFB. Launch Complex: Lowry AFB. LV Family: Titan. Launch Vehicle: Titan I.
Lowry AFB - . Nation: USA. Last Titan I ICBM taken off alert status at Lowry AFB. 1965 April 1 - . Launch Site: Mountain Home AFB. Launch Complex: Mountain Home AFB. LV Family: Titan. Launch Vehicle: Titan I. Last Titan I ICBM off alert status - . Nation: USA. Last Titan I ICBM taken off alert status at Mountain Home AFB. Spring 1966 - . LV Family: Titan. Launch Vehicle: Titan I.
Titan I missiles scrapped. - . Nation: USA. Titan I missiles in storage at Mira Loma Air Force Station, Riverside County, California, are scrapped..
1965 April 15 - . Launch Site: Lowry AFB. LV Family: Titan. Launch Vehicle: Titan I.
Lowry AFB - . The last Titan I (HGM-25A) was removed from its silo at Lowry AFB, Colorado, in preparation for the 724th Strategic Missile Squadron's inactivation on 25 June..
1965 April 18 - . LV Family: Titan. Launch Vehicle: Titan I. All Titan I missiles in storage - . Nation: USA. By this date all Titan I missiles had been shipped to storage at Mira Loma Air Force Station, Riverside County, California..
1965 June 25 - . Launch Site: Mountain Home AFB. LV Family: Titan, Atlas. Launch Vehicle: Titan I, Atlas E, Atlas F.
The remaining seven Atlas and Titan I squadrons assigned to SAC were inactivated. - . These included the last Atlas E squadron, the 567th Strategic Missile Squadron (SMS) at Fairchild; three Atlas F units at Schilling (550th SMS), Lincoln (551st SMS), and Plattsburgh (556th SMS); and three Titan I squadrons, and the 569th SMS at Mountain Home along with the two units at Lowry, the 724th and 725th SMSs. These actions concluded the phase out of all Atlas and Titan I ICBMs in the SAC operational inventory.